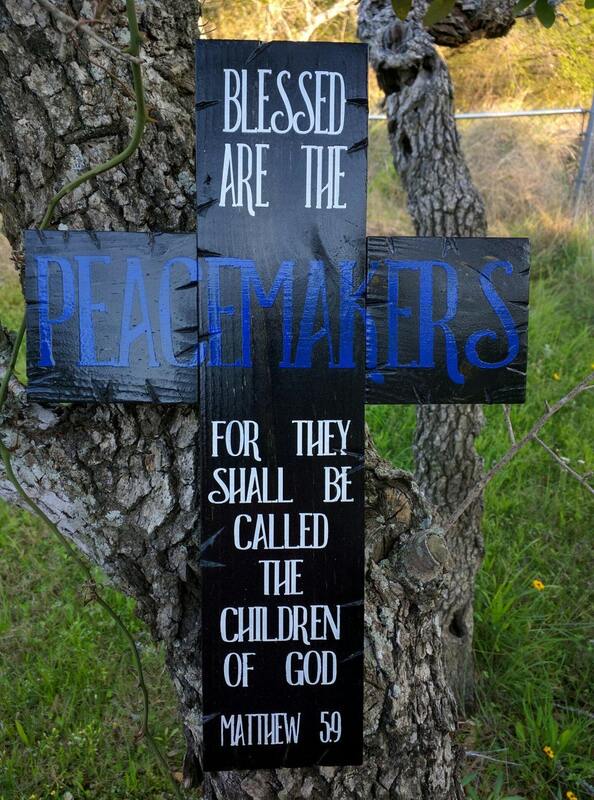 Blessed are the Peacemakers wooden rustic cross is approximately 11"x15", and is finished with an interior gloss. We always start out with brand new wood, and then we distress it in our style before staining, painting, and finishing it. It does have a d-ring on the back for easy hanging. Available in the ebony stain with painted white lettering (blue for Peacemakers). 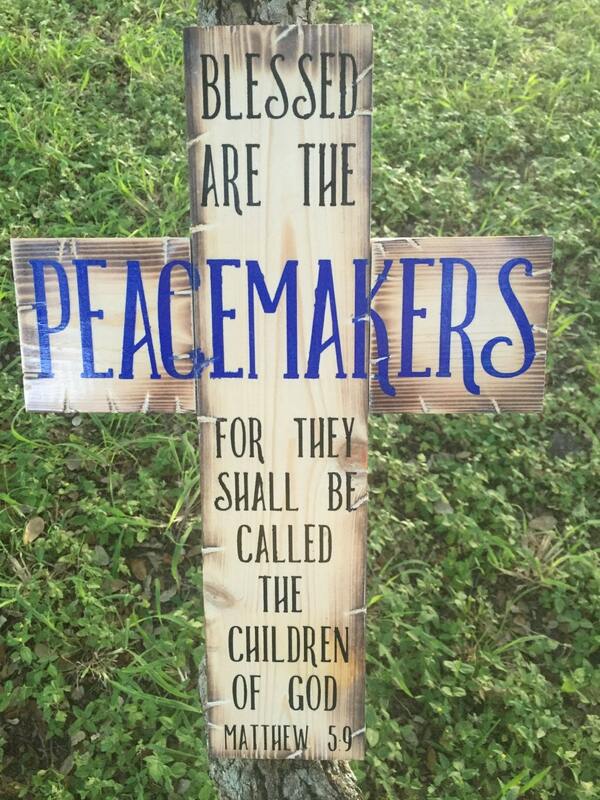 We can also make this in a whitewash with painted black lettering (blue for Peacemakers).